John Challis returned to Strachur last week, just ahead of the cloud of volcanic ash which closed most European airports. He brought with him news and pictures from Malawi. On 7th April, he was in Ekwendeni to see the safe arrival and unloading of FCL68. 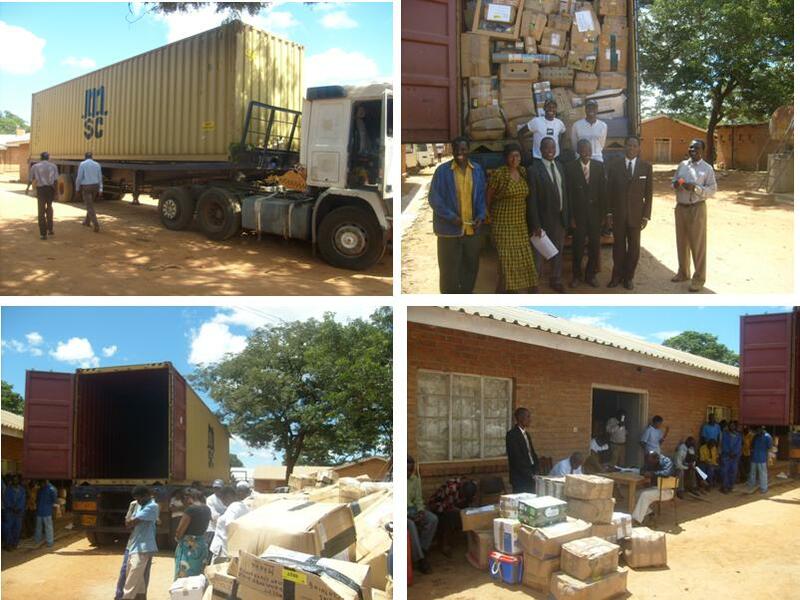 The container, packed with all kinds of goods destined for Ekwendeni, Embangweni, Livingstonia, Bandawe, Mzuzu, Likoma Island and other places, was unloaded quickly and efficiently and the goods sorted out into piles for the various destinations and recipients. The local pastor then led prayers giving thanks for the donors and the safe arrival of the goods and for those who would distribute and use the goods sent.